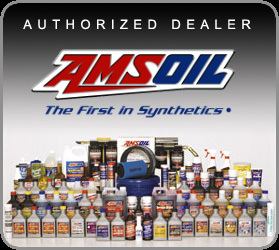 If you're ready for your own business AMSOIL has a tremendous opportunity. As a home based business, or out of your own shop you can work wherever and whenever you like. My name is Robert Bruton and I am an independent dealer. Contact me today and let me go over how you can get started today, no inventory to buy, no monthly commitments. Simply sell the products, set up new dealers, set up commercial accounts and preferred customers. It's fun easy and affordable for anyone. The current trend in the United States is a small business. Owning and running a small business guarantees the freedom to work on your own terms and the opportunity to set your own goals. 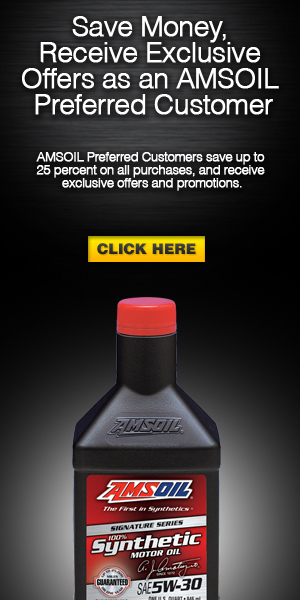 AMSOIL offers all the advantages of a franchise without the large initial investment. 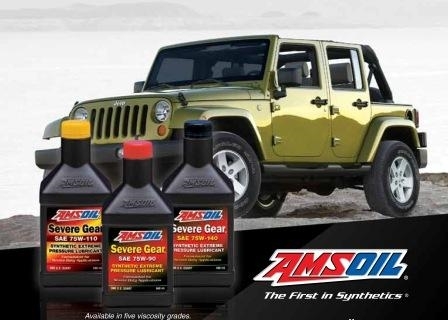 The AMSOIL business opportunity offers many advantages that simply cannot be found with other business opportunities. DETROIT – No time today to make it to the spa or schedule a visit with the massage therapist, no problem. On two 2015 models, Cadillac is offering front driver and passenger seats that can knead, roll and relax your back as you drive. An anti-fatigue option is also offered for the driver. “Many Americans have the common misconception that massage is just a luxurious way to relax. The benefits of massage are actually wide-ranging, especially for those that work that monotonous daily grind behind a desk or the wheel of car,” said Dr. Leena S. Guptha, board chair, National Certification Board for Therapeutic Massage & Bodywork. While the seat is unable to provide the same experience as a trained practitioner, it can at least offer some comfort for a driver and passenger. The massage seats’ settings can be stored in the car’s memory like the seat positions. With a toggle switch or activation button, both on the outboard base of the seats, the driver and front seat passenger can direct the illustration of adjustments on the infotainment screen. The desired massage and intensity can both be controlled from the screen. Once the optimal massage is found, the driver can save the kneading, rolling or anti-fatigue setting by pressing the memory button on the door. Reactivation can then occur by simply pushing the button on the seat base. 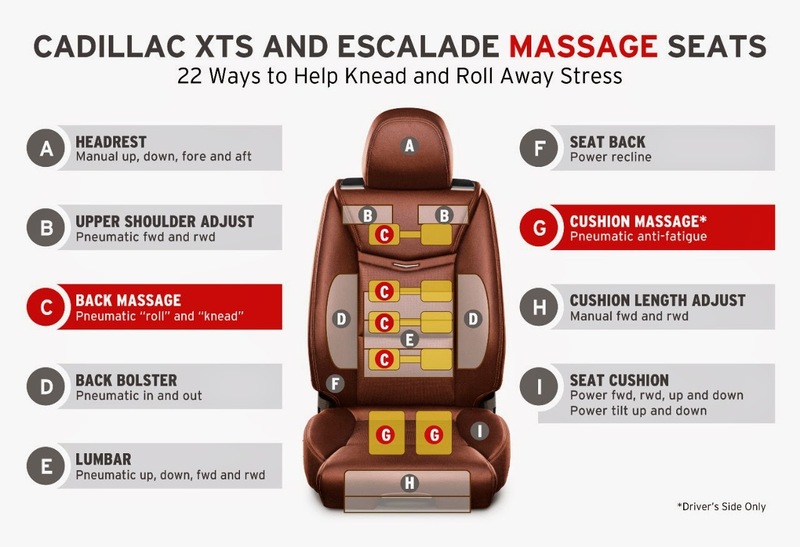 The massage seat is available on the XTS Premium and Platinum Collections and on the Escalade Platinum Collection. The National Certification Board for Therapeutic Massage & Bodywork (NCBTMB) is an independent, private, nonprofit organization that fosters the highest standards of ethical and professional practice through a nationally-recognized Board Certification credential. NCBTMB’s Board Certification is the highest voluntary credential attainable in the massage therapy and bodywork profession, demonstrating a deeper commitment to the profession, the public, and employers with more education, hands-on experience, passing a thorough background check, and maintaining a current CPR certification. NCBTMB’s Board Certification program is accredited by the National Commission for Certified Agencies (NCCA)—a national, non-governmental, public protection and standards-setting organization. For more information on NCBTMB or Board Certification, please visit www.ncbtmb.org. Call us today and find out how you can buy factory wholesale direct. 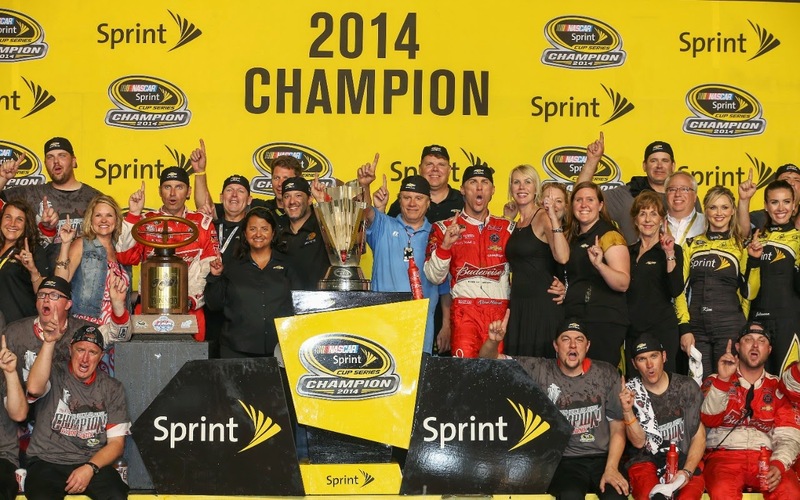 DETROIT (November 16, 2013) – With the conclusion of the season finale at Homestead-Miami Speedway, Chevrolet clinched the 2014 NASCAR Sprint Cup Series Manufacturers’ Championship. It marks the 12th consecutive year and 38th time overall that the Bowtie Brand has won the prestigious title in NASCAR’s premiere series. It is the second Manufacturers’ award for the Chevrolet SS race car. In the 2014 season Chevrolet drivers captured 20 victories. Chevrolet won its first NASCAR Sprint Cup Series Manufacturers’ award in 1958 and now with the 2014 Cup secured, Chevrolet has reached an unprecedented 38th title. The Team Chevy drivers that have contributed to the manufacturers’ points that achieved the title for Chevrolet are: Kevin Harvick (five wins), Dale Earnhardt, Jr. (four wins); Jeff Gordon (four wins), Jimmie Johnson (four wins), AJ Allmendinger (one win), Kurt Busch (one win), Kasey Kahne (one win); along with top finishers Landon Cassill, Kyle Larson, Ryan Newman and Tony Stewart. It was that spirit of innovation that inspired the Chevrolet Chaparral 2X Vision Gran Turismo (VGT) concept race car developed for the Vision Gran Turismo project, which celebrates the 15th anniversary of PlayStation® racing game Gran Turismo by inviting manufacturers to give fans a glimpse into the future of automotive design. It will debut at the Los Angeles Auto Show, Nov. 19, and gamers will be able race the Chaparral 2X VGT following the release of an online update for Gran Turismo 6 during the holiday season. Cadillac has been a leading luxury auto brand since 1902. Today, Cadillac is growing globally, driven by an expanding product portfolio featuring dramatic design and technology. More information on Cadillac appears at www.cadillac.com. Cadillac's media website with information, images and video can be found at media.cadillac.com. DETROIT – General Motors has received 15 certifications and three awards from the nonprofit Wildlife Habitat Council for establishing wildlife habitats and education programs at facilities in five countries, including the first certified program in China by any company. The Wildlife Habitat Council’s Wildlife at Work and Corporate Lands for Learning programs recognize outstanding wildlife habitat management and environmental education efforts at corporate sites. “GM truly understands the importance of establishing strategic corporate goals and objectives with the Wildlife Habitat Council and working to translate them into tangible and measurable on-the-ground actions,” said Margaret O’Gorman, president of the Wildlife Habitat Council. · A 27,000-square-foot pollinator garden at the Guangde Proving Ground in China. Pollinators – rapidly declining worldwide – are critical to the reproduction of 90 percent of flowering plants and one third of human food crops worldwide. · A three-acre artificial lagoon providing a natural wetland habitat for migrating and local birds at GM’s Ramos Arizpe Complex in Mexico. The lagoon is particularly important in the water-stressed region of northern Mexico. · Wetlands and containment lakes used for organic wastewater treatment at the company’s facilities in Joinville and São Caetano do Sul, Brazil. Employees showed students how sustainable manufacturing practices help preserve local watersheds and the flora and fauna that rely on them. · Bat nesting boxes made from scrap Chevrolet Volt battery covers at Tonawanda Engine and several other GM facilities in the U.S. and Canada. The structures are designed to help preserve bat populations under threat due to white nose syndrome. Certification requires sites to apply for periodic renewal. Nine GM facilities earned recertification this year, having shown continuous growth of their habitats and environmental education programs. The Wildlife Habitat Council also recognized two individual plants with additional awards for programs that demonstrate exceptional commitment to conservation. 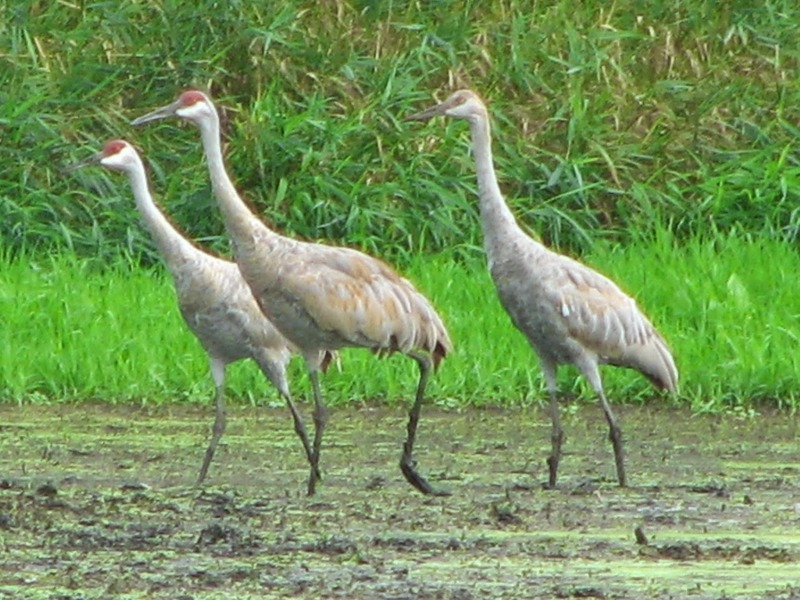 · Lansing Delta Township earned Corporate Habitat of the Year, which recognizes one high-quality Wildlife at Work program each year for outstanding environmental stewardship. The plant also received the Wings Over Wetlands award in recognition of protecting wetland habitat for waterfowl and other migratory birds. · Arlington Assembly was named Corporate Lands for Learning Rookie of the Year, which recognizes a single, newly certified Corporate Lands for Learning program each year for outstanding environmental education, stewardship and voluntary employee efforts. GM is committed to creating and securing wildlife habitat certifications or equivalent at each of its manufacturing sites where feasible by 2020. ‘Wood’ You Like to Sit Down?